Kamikami are poisonous variants of the Karikari in Donkey Kong Jungle Beat. They attack similar to Karikari, latching onto Donkey Kong. 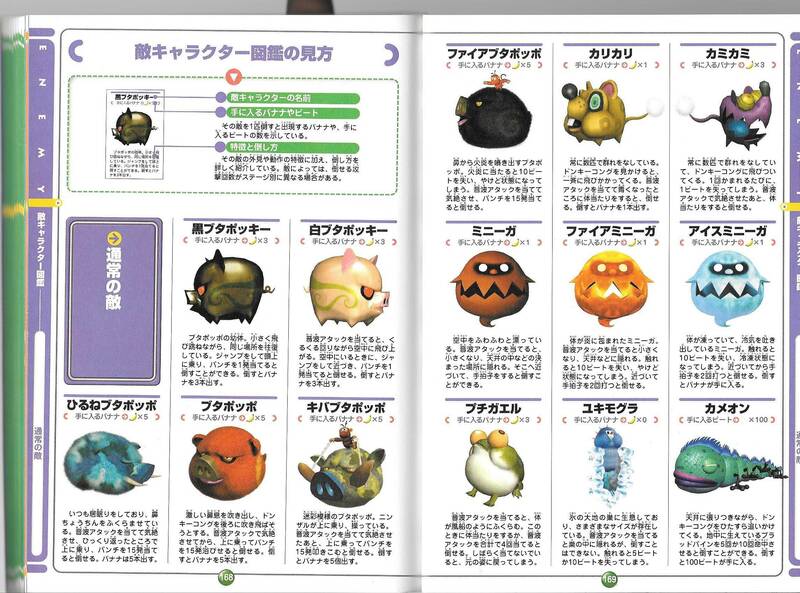 However, they inject poison into DK, causing the player to lose one banana for every Kamikami on him. They are also defeated just like Karikari; if the player claps, the Kamikami will fall off and turn a blue color, immobilized. Donkey Kong can then simply make contact with them to destroy them, leaving behind three bananas. Kamikami do not appear in New Play Control! Donkey Kong Jungle Beat, and are fully replaced by Karikari. This page was last edited on April 22, 2019, at 04:30.